The total voltage across a circuit loop is equal to the sum of the voltage drops across the components in that loop. VTot = V1 + V2 + V3 etc. RTot = R1 + R2 + R3 etc. ITot = I1 + I2 + I3 etc. 1/RTot = 1/R1 + 1/R2 + 1/R3 etc. Used to divide the voltage between resistors. This is done through a circuit with resistors in series. 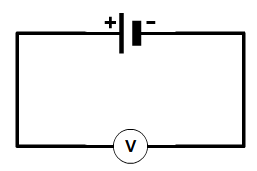 To work out the Voltage over a resistor you can use the equation.